Tripp Lite Display Mounts for Flat-Panel Displays and HDTVs have a variety of applications: workstations, conference areas, meeting rooms, home theaters, restaurants, security stations, hospital rooms, and airport terminals. Tripp Lite Display Mounts are available in a variety of configurations: wall mounts, desktop mounts, clamp-on mounts, fixed, full-motion, and tilting. Tripp Lite Display Mounts mount to a variety of surfaces: wood, brick, and concrete. They are packed with features: durable, all-metal frames, supports screen sizes of up to seventy inches, supports weights of up to two hundred pounds, VESA-compliant hole patterns, included mounting hardware, built in bubble levels, and quick and easy installation and adjustment. Tripp Lite Display Mounts for Flat-Panel Displays have many applications, from workstations, to home theaters, to hospital rooms. 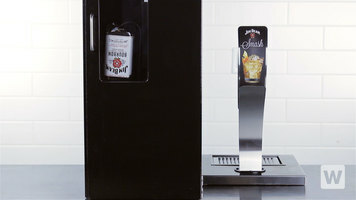 Built for a variety of surfaces, Tripp Lite Display Mounts are versatile and easily installed. Check out the video for more information. 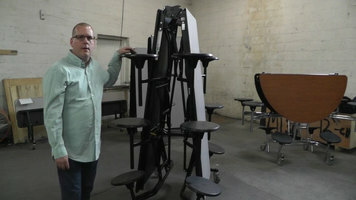 Learn how to use NPS's mobile cafeteria tables with this simple step-by-step video! With a compact design and the ability to produce (100) 4 oz. 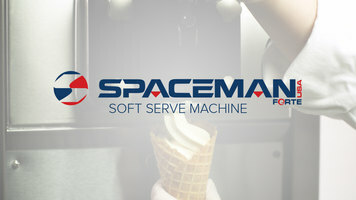 servings of soft serve ice cream per hour, this Spaceman 6210 soft serve machine is just what you need. Watch this video to learn more! This quick video summarizes the many benefits of the Hamilton Beach PrimePour system including ease of use, time & money savings, attractive appearance and more!